Economic staple gun which can be used to tack fake nests and speaker wire. The economical 3 in 1 staple gun that fastens 3 different sizes of staples. It executes every task quickly, neatly and professionally. One stapler does the work of three. 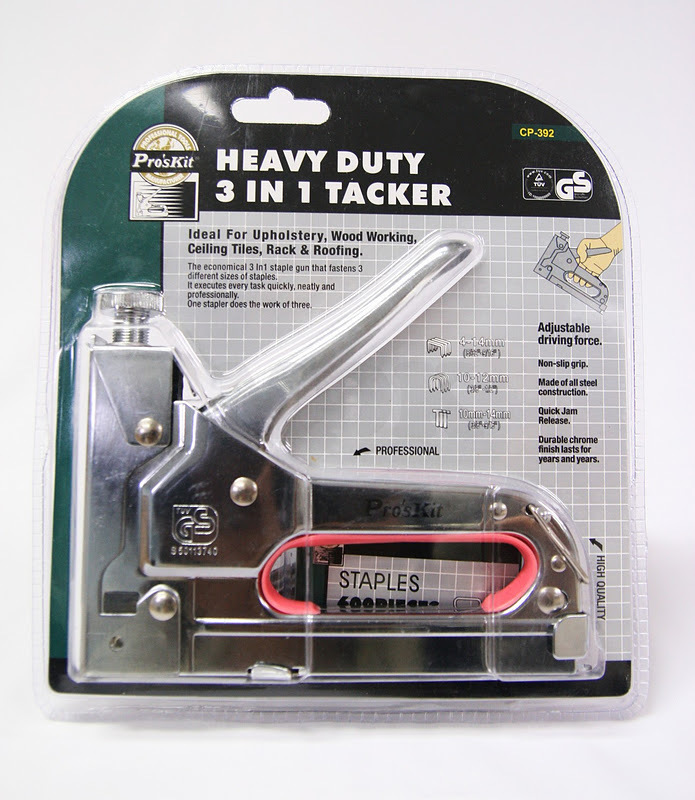 Easy-squeeze product works overtime as a staple gun, brad nailed, cable tackler and wire tackler. Fastens 3 different types of staples: flat crown staples and brad nails.